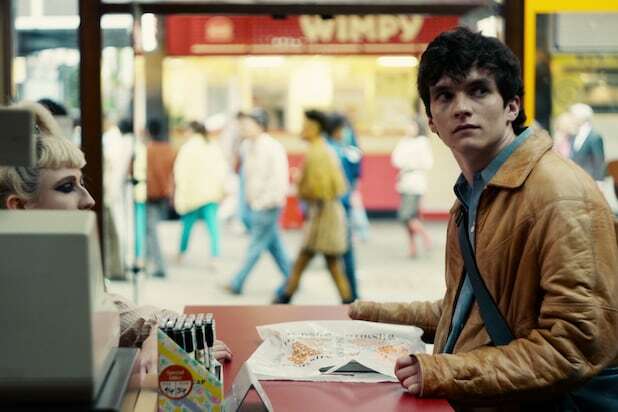 We know, your brain is still processing that “Black Mirror: Bandersnatch” trailer. But it wasn’t just a preview of the new film — it also contained impressive callbacks to past “Black Mirror” installments. TheWrap tracked the shout-outs you might have missed while you were singing along with “Relax,” the Frankie Goes to Hollywood song played in the trailer. And we’ll probably have a million more to highlight when “Bandersnatch” drops on Netflix early Friday, given that Charlie Brooker’s anthology series is known for its shared dystopian universe. Also Read: 'Black Mirror': So What Is a Bandersnatch, Anyway? When Stefan slips a VHS tape labeled “JFD Doc” into his VCR, the TV screen shows a room filled with papers covered in crazed drawings and strange images painted in blood. Netflix finally acknowledged the existence of the eagerly-anticipated, but previously-unconfirmed “Black Mirror” film “Bandersnatch” Thursday morning by dropping the surprise trailer, which revealed that the latest installment in the Brooker-created anthology series will drop Friday — as in tomorrow. You can read more about the “Bandersnatch” trailer here and learn more about what a Bandersnatch is here. “Black Mirror: Bandersnatch” drops Friday on Netflix.